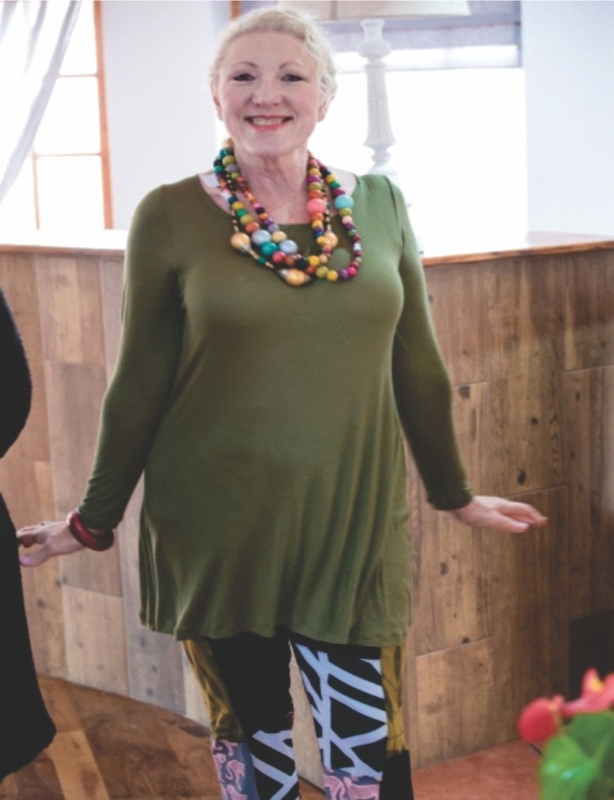 On Saturday 3rd September 2016, a Spring Fashion show was held to launch the Ilita Lodge food platters and highlight local business in Groot Brak while proceeds from the day were donated to the Wonderful South Africa Charity. 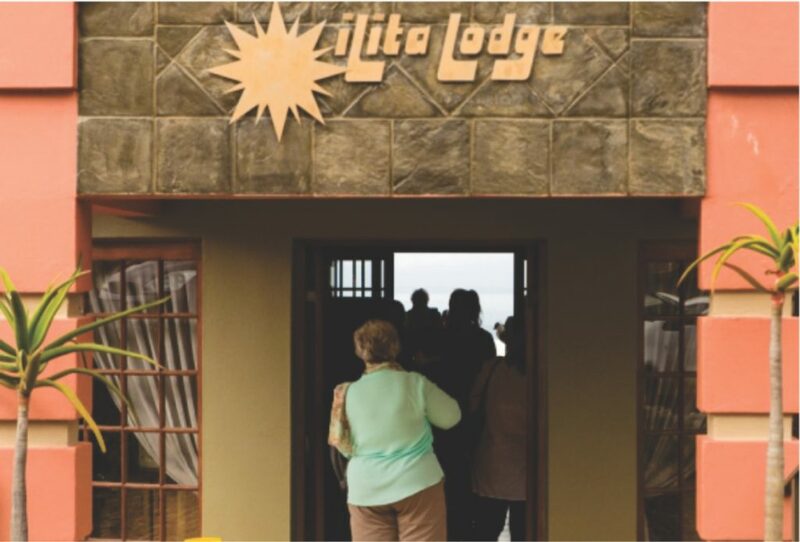 Hosted at the stunning Ilita Lodge, designers and business owners participated to put on a fashion show and to retail their products. Beatnix Leatherworks showcased their handmade leather bags and accessories. F & A introduced their Spring line of clothing including the latest panel dresses and Black Vanilla launched their fashion range. Also participating was The Factory Shop showing young funky fashion and accessories for purchase off the rack. 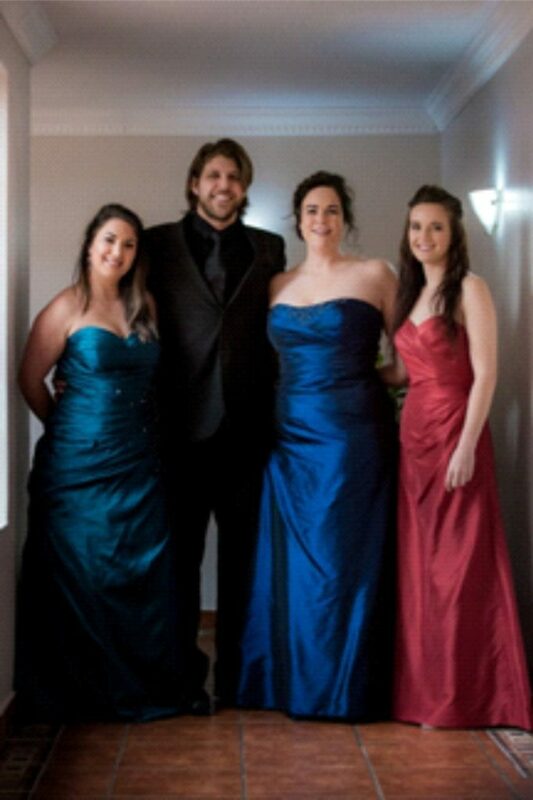 Formal wear was sponsored by Mrs Susan Vosloo and her team of ladies from Pebbles in Voorbaai. We were fortunate to have our local Mr. South Africa entrant – Louis Pieterse participating. Louis is currently ranked in the top 12 and brining the Mr. South Africa title to Groot Brak would be a huge honor.Being welcomed into Ilita with a cool drink and incredible jazz music set the scene for an outstanding event and Brothers Coffee was on hand to take guests through the afternoon in the comfortable and inviting coffee bar, recently opened to all visitors. The models looked stunning and took to the runway even though the weather was not what we had hoped for. Mandy Kitching from Mandy’s Hair and Nail Creations styled the models hair and the make-up was done by the beautiful team of talented ladies from Pure Senses. Plants decorating the deck were sponsored by Leani’s Nursey. Both Ilita Lodge and Pure Senses would like to take this opportunity to thank everyone for participating and supporting this event. Participant contact details can be found on the Pure Senses fackbook page. www.facebook.com/spapuresenses. This is why ADT Security this week issued a public call on South Africans to become involved with their local community safety groups as these voluntary organizations have time-and-again been proven to make a positive difference. “If we stand together with our next-door neighbours and look after each other, we can make our suburbs ‘no-go zones’ for criminals,” says ADT Security’s Coastal Outlying District Manager Peter Kruger. 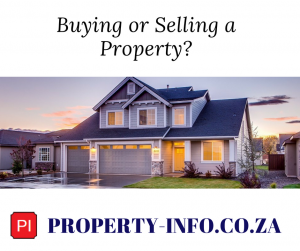 If you have just moved into a new suburb, he recommends making the effort to meeting the people who live next door as soon as possible and sharing contact details with them. They could also provide useful advice on existing community safety organizations in the area. Not all communities have the energy or appetite to set up a formal neighbourhood watch, but this does not mean that there was nothing residents could do in terms of organizing themselves. “If you don’t have a community watch, we suggest setting up regular meetings with the local SAPS to workshop ideas on how you could assist them in keeping the area safe. It could be as simple as just sharing tips and advice and having a reliable list of contact details for each other. The point is – we all have a part to play and we simply can no longer be idle bystanders when it comes to our own safety,” says Kruger. He strongly urges anyone who lives in an area where a neighbourhood or community watch has already been set up, to become involved with the organization as a matter of urgency. The involvement could take many forms – from becoming a patroller to offering monetary or logistical admin support. Knowing who lives in your area and engaging with your community often leads to combined security implementation and these have a far greater impact on an area than individual efforts, he explains. When neighbours start sharing security tips and reporting suspicious individuals or vehicles spotted in their area, security providers and the SAPS are able to get a better understanding of the activity in the area and implement effective crime prevention tactics. Kruger says it is also very important to introduce your children to your neighbours. You can for instance agree to keep an eye on each other’s children when they are playing in the garden. Teach your children to go over to one of your neighbours if they are home alone and feel unsafe. Another good idea is to write the contact details of at least one or two of your neighbours on your list of emergency services numbers and keep this near your telephone. In the event that something happens to you or a loved one in your home, a neighbour will be able to assist you until emergency services arrive. “The men and women of the South African Police Services (SAPS) simply cannot be everywhere all the time. Neighbours that care about each other and become active participants in the safety of their suburb can make a massive difference,” says Kruger. Issued on behalf of ADT Security. 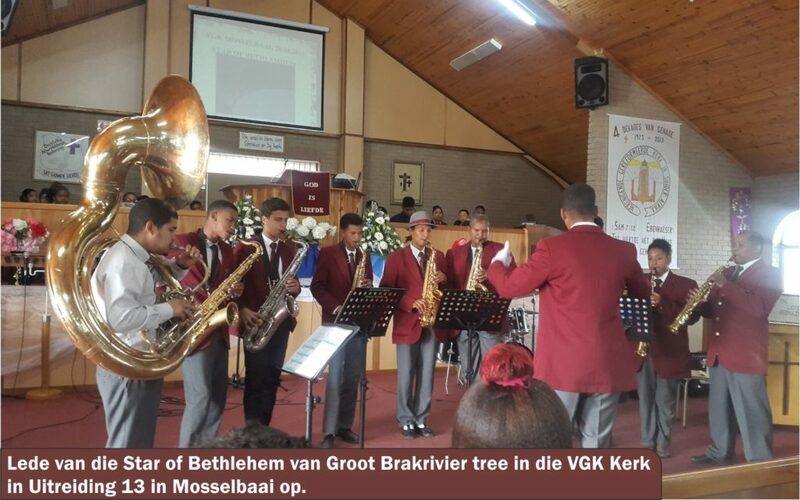 Verskeie blaasorkeste en brigades wat by die Mosselbaaise Munisipaliteit se Orkesteforum geaffilieer is, het op Sondag, 28 Augustus 2016, opgetree tydens ‘n kerkdiens by die Verenigde Gereformeerde Kerk in Uitbreiding 13.Hulle het na afloop van die diens ook aan ‘n optog in die strate van Uitbreiding 13 deelgeneem. 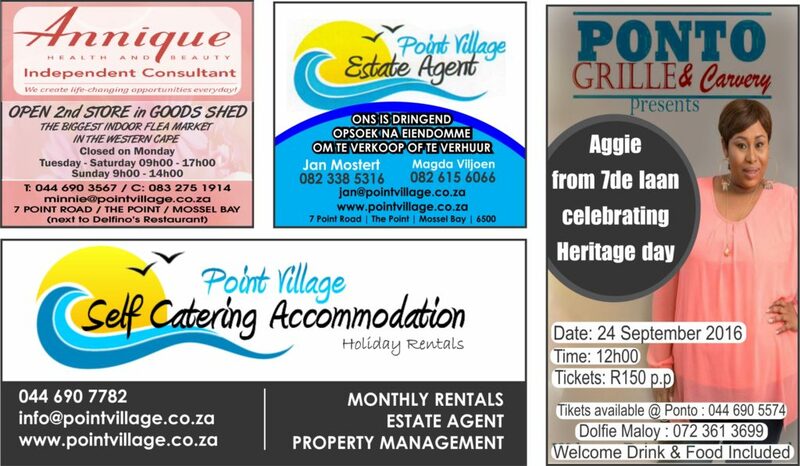 Die orkeste en die brigades wat deelgeneem het, was die VGK Brigade, die Boys Brigade en Star of Bethlehem Orkes van Groot-Brakrivier, die Aldachique Musiek Akademie, Royal Sounds, Nativity Orkes en die VGK Brigade van Mosselbaai. Die Munisipaliteit poog om soveel blaasorkeste en brigades as moontlik te betrek by aktiwiteite wat vir hulle gereël word, en nooi orkeste uit om by die tweemaandelikse vergaderings vir orkeste en brigades in die groter Mosselbaaise gebied aan te sluit. Die orkeste en brigades het ten doel om gesonde belangstellings onder die jeugdiges aan te moedig, en hulle van die strate af te hou. Die Munisipaliteit se Sosio-Ekonomiese Afdeling vergader tweemaandeliks met die orkeste en brigades. 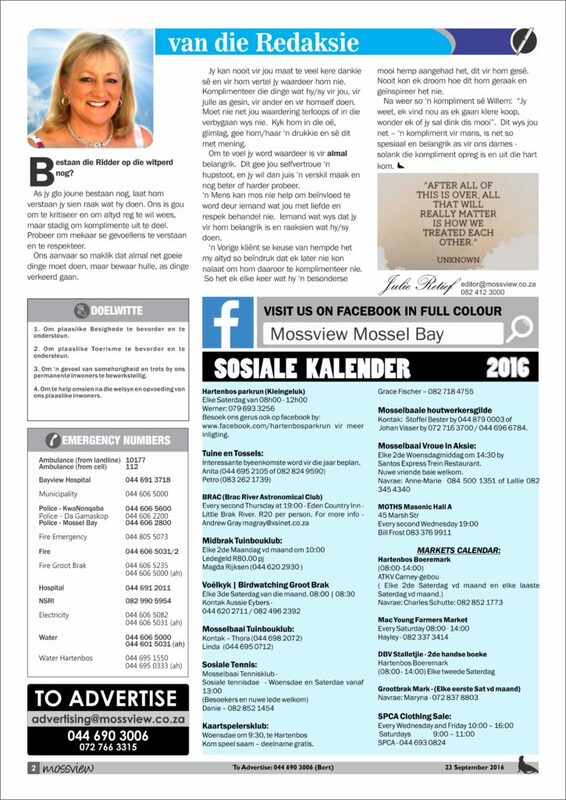 Enige groep wat nog nie deel van die forum is nie, word uitgenooi om Belinda Nel te kontak (044) 606-6286. 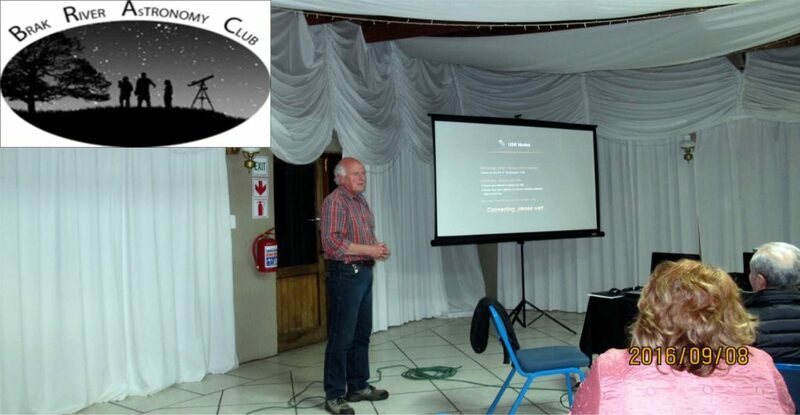 The BRAC had its usual second Thursday of the month meeting at the Eden Country Inn. This time the very interesting and perplexing topic of TIME was excellently presented by Jan Svenson. Jan combined philosophy and Einstein’s famous E=MC² to elucidate his presentation. The 25 odd people in the audience were totally mesmerized and one could see their interest peaked during the well- illustrated slide and video show. The characteristics of TIME was explained and how much of an enigma TIME really is to human kind. The questions were asked and discussed of whether Humanoids had an idea of time and where mans’ discovery of TIME really started. Is TIME a manmade aspect? Can one travel back in TIME or even into the future? Perplexing thoughts to say the least. After the well enjoyed presentation, the audience was treated to some tea, coffee and biscuits during which an informal question and answer session was held. During October 19th, another very interesting talk will be given by Dr. Pieter Kotze of the SANSA Space Science unit in Hermanus on Geomagnetic Storms. Please feel free to attend what promises to be a very interesting presentation. Attendance donation R20 per person. 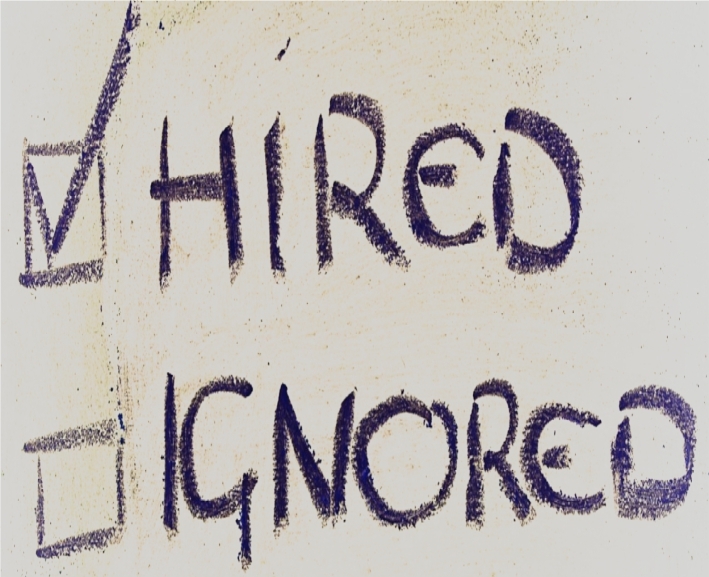 Having a good qualification and a great track record provide compelling reasons for employers to consider a candidate for a position, but many with those crucial qualities never even make it to the interview list because of simple but persistent mistakes, an expert says. Lillian Bususu, an employment expert at The Independent Institute of Education, South Africa’s largest private higher education provider, says because of the difficult economic climate, job applicants will often apply for scores of positions before they get shortlisted. After a while, repetition and despondency may cause job-seekers to become careless and not pay sufficient attention to detail, resulting in the kind of mistakes that instantly get their CVs canned. “Graduates and those seeking to further their careers often pay 99% of their attention to the big things on their CVs – their academic performance, employment history, achievements and so forth,” says Bususu. “But those things mean little when a company receives a CV addressed to the HR manager of their rival, which is a surprisingly prevalent but unforgivable slip-up,” she says. Bususu, National Graduate Development Manager of The IIE’s Rosebank College, whose team assists thousands of students and alumni in their job search annually, says in addition to the insights gained from helping these young people tailor and polish their applications, the Career Centre’s collaboration with some of SA’s top employers also means that they are privy to regular and valuable feedback from the marketplace. Bususu says a few avoidable gremlins consistently make their appearance. “With the end of the year in sight, many of us are starting to consider 2017 and how we can grow in our careers. Spring is an excellent time to start working on your CV, so that it is ready to go when you spot a fantastic vacancy in January,” she says. What is the name of the company, and what is the position you are applying for? Make sure that you have the correct details everywhere, and that any references correspond to the correct information. Get a second pair of eyes to scan for any slip-ups, as getting this wrong is guaranteed to sink your application. It seems like a very basic thing, but employers receive CVs every day from people applying for a job in their organisation while addressing the application to another organisation recruiting at the same time. Is it clear that you understand what you are applying for, and that you are responding to the criteria raised in the job advert? If you are sending out the exact same generic CV for every vacancy, you can be sure that your application will lack the character required to stand out. Google the company, figure out how you and your experience will be the best fit, and motivate why you will be a fantastic fit on both scores. You have to customise your CV and covering letter for every application – and that goes beyond getting the company details right. How you approach the drafting of your CV will make a visible difference. Did you take the necessary time and effort to ensure you have covered everything relating to your qualifications, academic performance, experience and background? Did you ensure that your CV and covering letter were proof-read to eliminate typos and grammar and spelling mistakes? 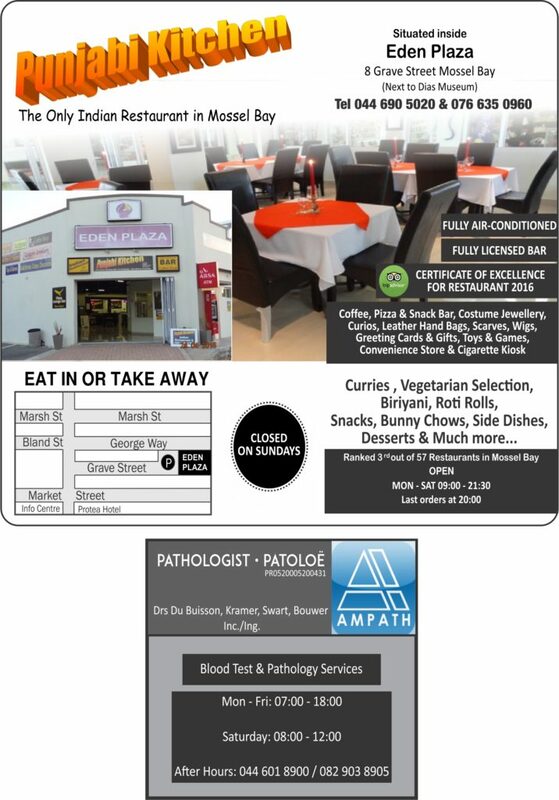 Does the layout and formatting look professional? Are your dates, reference details and contact details accurate and complete? It is well within the rights of a company to question why you would be professional and pay attention to detail if hired, if you can’t be that when selling yourself. Look at your CV and ask yourself: If I were the boss, would I hire myself? Competition is tough out there, that is true. But never be tempted to massage the truth on your CV. Hiring managers are seasoned professionals and have a nose for waffle. 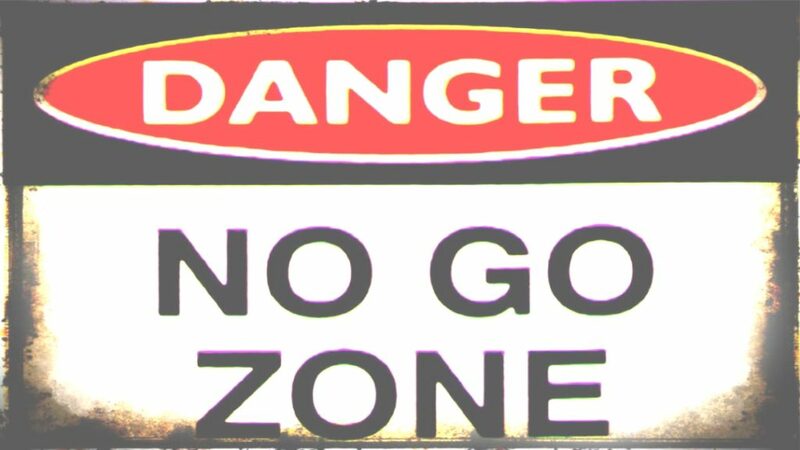 Even in the unlikely event that a false claim is not picked up, you will never be able to settle into your position without constantly having to worry that it will come back to bite you. If you have an experiential or qualifications gap, there are other ways to rectify the situation. For instance, you can sign up for a short or distance learning course while you are searching for a position. Things are tough for those looking for work, but things are also tough for companies looking to survive in a challenging economy. Employers want the best talent and ambitious individuals to join their teams. It does not create a good impression when your CV shows you graduated two years ago and have been sitting at home since. Show that you are industrious and that you value your own time, and that you are committed to personal growth. Seek out activities that will prove your value even if it doesn’t relate 100% to your area of expertise. Volunteer your services in your community, tutor learners in your field, or cultivate a complementary skill. In addition to ensuring there are no gaps on your CV, these activities could even open doors for you. “Quality and quantity go hand-in-hand,” says Bususu. “In a difficult job market, it is important to treat the job hunt as a job in itself. So you should spend enough time every day searching and responding to positions for which you are qualified, to improve your chances of getting a foot in the door. But if you are just going to adopt a spray and pray approach, you are wasting your time.